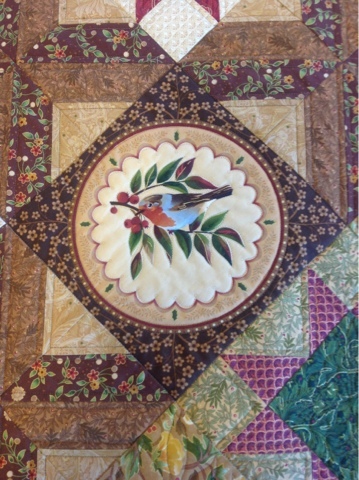 This quilt has such pretty bird blocks in it. 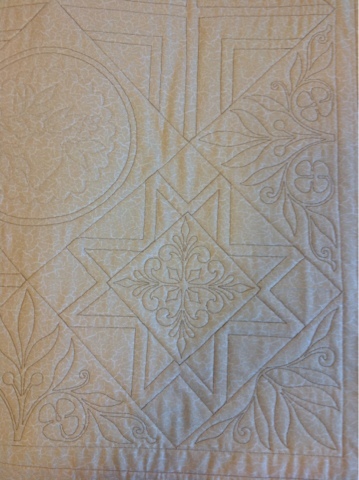 The customer requested custom treatment on this quilt. 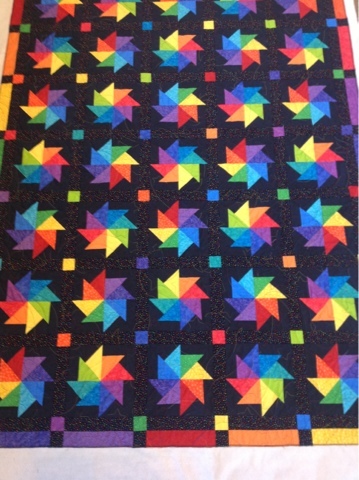 This fun black & bright quilt was quilter using the "star banner" pattern. 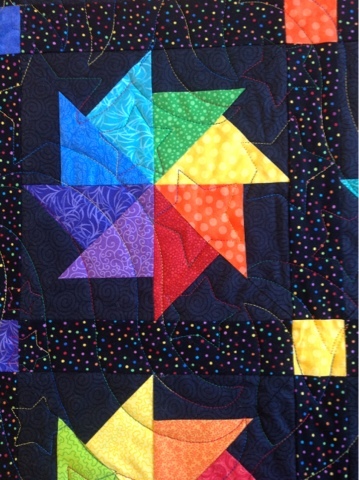 I used a variegated thread to match the bright fabrics in the quilt top. 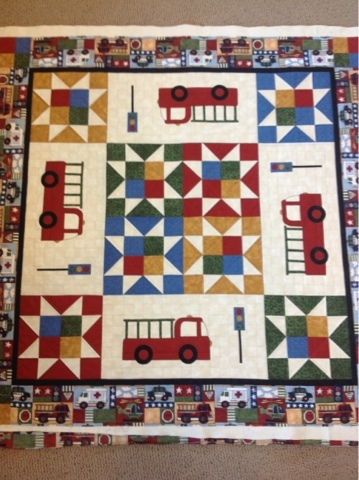 Here is a cute fire engine quilt that I quilted lately... 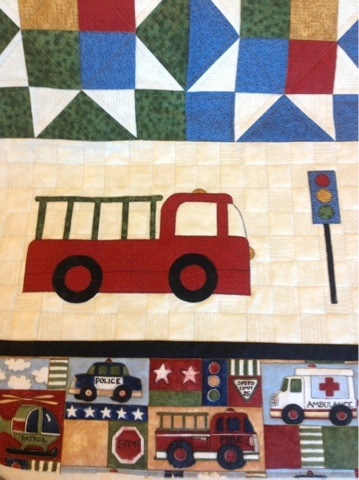 I added some grid quilting behind the fire trucks to give some texture to the solid fabric. 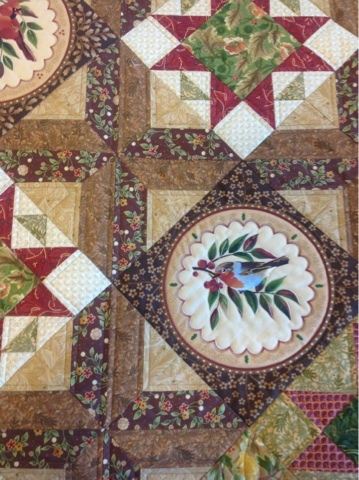 Everyone must be busy piecing quilts this winter! My January schedule has filled up. 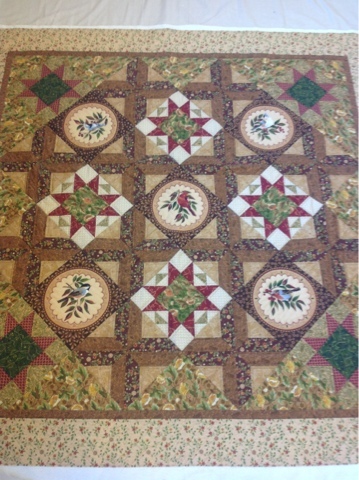 So, if you are in the process of working on a quilt and are thinking of having me work on it, please give me a call or e-mail to get on the schedule for February. 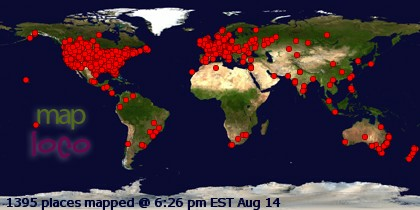 In the past I have been able to have your quilt back in 2-3 weeks, but my turn-around time is a bit longer right now. 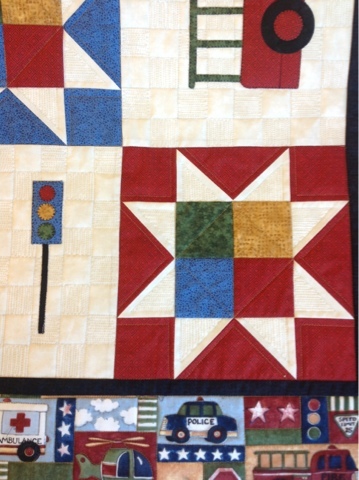 With my schedule filling up, I want to make sure you can get a spot reserved & get your quilt back for any deadlines you may have. 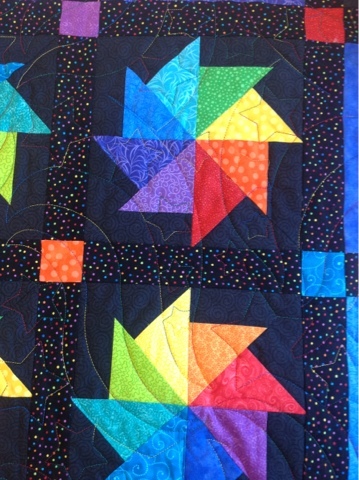 So, just be aware that if you wait until your quilt top is finished to give me a call, you may not be able to get your quilt back as fast as you'd like.